The cancer risk for a human mission to Mars has effectively doubled following a UNLV study predicting a dramatic increase in the disease for astronauts traveling to the red planet or on long-term missions outside the protection of Earth's magnetic field. "Exploring Mars will require missions of 900 days or longer and includes more than one year in deep space where exposures to all energies of galactic cosmic ray heavy ions are unavoidable," Cucinotta explained. "Current levels of radiation shielding would, at best, modestly decrease the exposure risks." In these new findings, a non-targeted effect model—where cancer risk arises in bystander cells close to heavily damaged cells—is shown to lead to a two-fold or more increase in cancer risk compared to the conventional risk model for a Mars mission. "Galactic cosmic ray exposure can devastate a cell's nucleus and cause mutations that can result in cancers," Cucinotta explained. "We learned the damaged cells send signals to the surrounding, unaffected cells and likely modify the tissues' microenvironments. Those signals seem to inspire the healthy cells to mutate, thereby causing additional tumors or cancers." Cucinotta said the findings show a tremendous need for additional studies focused on cosmic ray exposures to tissues that dominate human cancer risks, and that these should begin prior to long-term space missions outside the Earth's geomagnetic sphere. "Non-Targeted Effects Models Predict Significantly Higher Mars Mission Cancer Risk than Targeted Effects Models," appeared online May 12 in the journal Scientific Reports. There are two (relatively) safe ways to get to Mars. The first is to go very fast, and we don't know how to do that. The other is to pick an asteroid that will pass near Earth, then near Mars. Send robots to explore, and if it is a good candidate, dig a hole. When the asteroid passes near Earth the astronauts can board, and use the mass of the asteroid to cut down the radiation. A nice side effect is that if there is water, CO2 or other CHON compounds present, they can be converted into fuel for the Mars landing. As for the way home, if you planned to spend over an Earth year on Mars, you could pick up the same asteroid for the return trip. Or use a new asteroid. But IMNSHO, a asteroid converted into a spaceship is worth holding onto. The asteroid could be worth more than all the science from the mission. Steering the asteroid can be done by burning fuel deep in the gravity well of Earth or Mars. Hmmm. Maybe the best choice is a short-period asteroid. Actually, these studies are quite valuable to show what cells are damaged and by how much. I believe one possibly acceptable approach would be to use drugs that cause cells that have been moderately damaged to destroy themselves at increased rates. While this will increase the short term effects of radiation exposure, such an approach could be used to mitigate accumulated damage effects leading to cancer and the like. It is quite likely that as long as cells are actually destroyed and absorbed by the body, they will be replaced as a normal consequence of human healing with new healthy ones as long as the radiation isn't too intense. Its an open question if brain cells will be as easily replaced as in most other organs, but that's what research is for, after all. Artificial magnetosphere (nuclear powered superconducting coils?) may be required for long term stays in deep space. The second idea has the same problem. To put such an asteroid into orbit you have to slow it down (impart a lot of additional impulse). Then you have to reaccelerate it to get it to Mars. Taking off from the Moon is also a lot less energy intensive. I believe one possibly acceptable approach would be to use drugs that cause cells that have been moderately damaged to destroy themselves at increased rates. That would effectively aggravate radiation sickness. 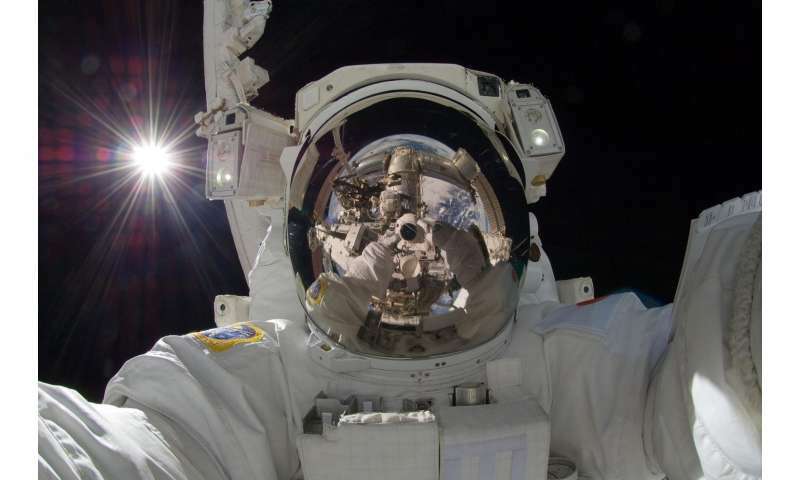 Given that cataracts are a far more serious issue in space than they are here, it follows that the absence of the Earth's magnetic field and atmosphere will play into a greater risk of cancers out there. However, there's good science and there's bad science, and there are people down here who, for some reason or other, don't want us to venture into space. Of course, they come from out of the same box as those who don't want us to contaminate space. Really..? Plan on taking a walk in space without an overcoat any time soon? I don't see any reference to not wanting people to go into space in that paper. It seems to be a reasonable study to assess the risks, prior to any long exposure mission. I'm sure NASA will take it on board (pun not intended), and assess it in a rational manner. TBH Zubrin is a bit of a cheerleader for Mars exploration, but wouldn't be the one taking the flak if Mars Astronauts started dying young some time in the future, due to NASA not fully assessing the possible risks.